The fashion world is complex, colourful and way ahead of us. We talked to some industry experts to gain some insight on the wedding forecast for the summer/spring of 2018. 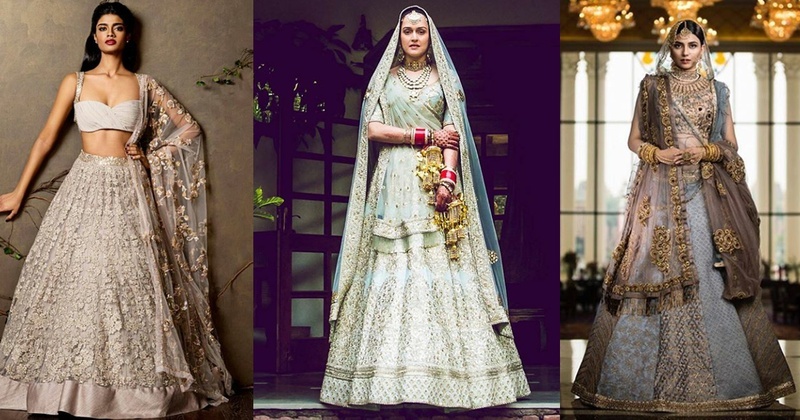 Ditch those red, pink and golden lehengas for your summer wedding and choose one of these trendy colours so you are not left behind in the beeline of fashion! We present to you the colour of the year as announced by Pantone: ultra violet! This is a fairly new colour and we have rarely seen brides wear it. Go on, be the trendsetter! Grey and ivory have made a comeback in the wedding game and how! This beautiful lavender shade will make you swoon and make you run to the stores! Coral is a quite a popular shade often seen at weddings. Burnt coral is the new one to join the market! A very subtle hue of red, paprika seems to be perfect for an outdoor event. The name ‘golden poppy’ can be a bit confusing as it suggests both golden and orange. But this shade is a very light version of orange. Pretty pretty! You can go for golden poppy instead of a pink lehenga. Summers are usually full of bright blues, but this year the trending colour is going to be a dark shade. Turkish sea will make a really good colour for cocktail and sangeet functions. A turkish blue- golden lehnga will simply look elegant! Staying true to its name, this colour is just as good as the fruit! Another unique colour to wear at your wedding. Something different from the red lehenga! Yellow shades have ruled weddings since ages. The cadmium yellow will suit anyone and everyone. This bright colour can be worn for all functions! Make your dream wedding more perfect by choosing one of these colours for your bridal lehenga or gowns. Go contact your designers right now!